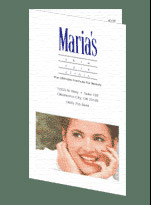 Maria’s Skin Care Clinic in Oklahoma City is the city's most Exclusive & Luxurious Full Service Salon and Day Spa. 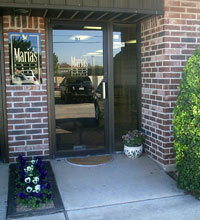 Maria and her staff have been serving Oklahoma City and the surrounding Metro areas since 1988. Maria's Skin Care Clinic's skin and body care specialists are eager to educate you on the European techniques learned through renowned European experts. With an average of 15 years experience, this unique Day Spa has friendly and knowledgeable specialists are fully capable of consulting you in all facets of skin care and body care. Take a look for yourself at their different facial packages! Admire the transformations made for local Oklahoma City women like you! Maria’s Skin Care Clinic has helped countless women with acne treatment, wrinkles, hair removal and skin care to help rejuvenate their youthful glow! Who needs to go through the pain and expense of plastic surgery or laser treatments that may not work? Call Maria’s Skin Care Clinic in Oklahoma City today to avoid those nasty scars and painful memories that surgery can give rise to. We can help you avoid the knife with natural, affordable, and less painful alternative treatments. Not only are the Doctors amazing consultants in full skin care, body care, and rejuvenation; but also, the Professionally trained beauty consultants can help you with all of your nail care, make-up, massage and hair removal needs. (Or should I say wants!) The nail care artists at Maria’s Skin Care Clinic in Oklahoma City are one of the most experienced and talented Day Spa teams in the Oklahoma City area. Their Licensed massage therapists will help reduce your stress through one of our many massage treatments. They are at your disposal to pamper or repair your nails, skin, and body. Maria’s Skin Care Clinic in Oklahoma City also carries some of the highest quality and most advanced European skin care, body care, and nail care products at very affordable prices. Now you don’t have to take a trip to the day spa to feel like a new woman. You can re-live the day spa experience everyday in your own home with our extensive line of products. You can even treat yourself to something luxurious with our exclusive line of accessories made just for you. Day Spa packages are available to pamper yourself, or to show a loved one how much they are appreciated on that special occasion. And, just in case you don’t know exactly what she might want, Maria’s Skin Care Clinic in Oklahoma City has Gift certificates available. Copyright © 2004 Maria's Skin Care Clinic. All rights reserved. Web Page Design by About A Website. View Sitemap.